BRACKNELL, UK. 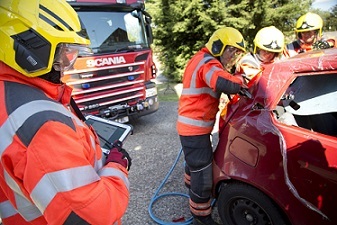 29th January 2019 – Cambridgeshire Fire and Rescue Service is transforming life for firefighters on the frontline by equipping them with Panasonic rugged Toughpad tablets to access vital information during operations. John Barlow, the communications project manager and a former station commander with 35 years of experience in the service, is responsible for modernising Cambridgeshire Fire & Rescue Service?s frontline communications devices. ?We have invested to change all the existing MDTs to a more agile device to allow the crews to work more efficiently and smartly,? he explained. ?The Panasonic devices are ideal for all the conditions we work in. We can read the device in bright sunlight and it is built to be used outside and in wet conditions without any problems. Feedback from the fire crews has been overwhelmingly positive and that?s partly because they were very involved in choosing the device.? Prior to installation, the fire service carried out a six month field test with one appliance fully fitted with the new Panasonic devices and testing the software and applications. John said that this testing was ?worth its weight in gold? as it allowed the team to highlight and resolve any issues well ahead of deployment. 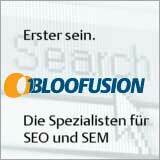 ?Panasonic has been incredibly helpful throughout the process,? said Stuart, ?from helping us design the cabling and installation of the tablets to supporting us with our build of the golden image for the software deployment on each device.? Panasonic Computer Docking Solutions team has designed the mounting solution for the Panasonic CF-D1 tablets in the front of the vehicle. The team utilised as much of the existing infrastructure as possible, such as the power management units, to keep costs down. It also future proofed the vehicles by fitting antennas that will work with the imminent introduction of the new Emergency Services Network. For the rear vehicle mounted tablets, the solution team designed a bespoke bracket for Cambridgeshire that can be fitted on all its vehicles generically. The design also incorporated into the bracket the handheld barcode reader, so that it could be installed in a convenient location next to the tablet.